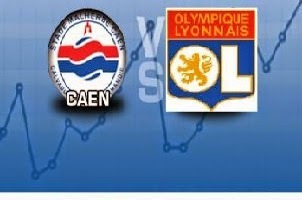 Caen is facing Lyon on Saturday. The guests are fighting for the title in the French Ligue 1. Lyon is taking the 2nd place with 71 points, just 3 points behind the leaders PSG. With only three games left till the end of the season they need to keep on winning its games and this one should be easy for them. Caen has 3 losses and a draw in their last four games. They are not threatened by relegation, so this game is not important for them. Last game between these two rivals was won by Lyon with 3:0. My bet here is for easy away win at decent odds.